When it comes to buying the best tablet for kids, there are certain features which should be double-checked. Features such as comprehensive parenting controls, filtered browsing and access to kid-friendly contents are mandatory. Well, if you’re a parent looking for a tablet that is appropriate for your child then there isn’t much competition in the market for kids tablet and you can easily pick the best one out as there are only a few good ones left to choose from. Best of all, the Amazon Fire series is so far the best package for kids available at an extremely affordable price of $80. 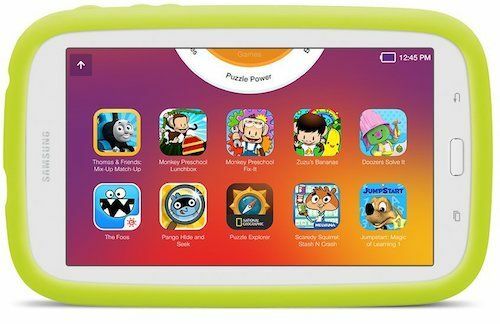 However, this doesn’t mean that there aren’t any other alternatives, tablets from LeapFrog also have been delivering a fine kid-friendly environment to the kids with a host of LeapFrog educational contents. Now the question here is which tablet should you give to your child and what features should it have? Well, that depends on the age of your child. If your child is somewhere under 8 years and doesn’t have much knowledge about how computer works then a kids tablet with kid-friendly interface would be a better choice. As I mentioned, a kids tablet feature comprehensive parental controls which give parents to track their child’s activities like how much time they spend reading and playing. Moreover, kids tablets feature an inbuilt filtered browser which filters out adult contents which young eyes shouldn’t see. In case if your child knows what a proper tablet should be like because they’ve borrowed from someone in the past then a traditional tablet running on Android or iOS should be fine that is intended for adult use. 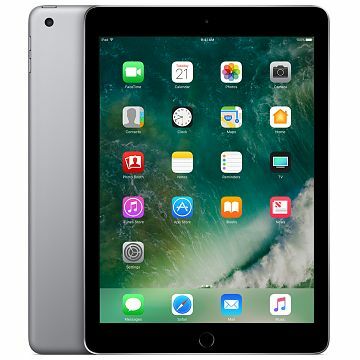 If an iPad becomes available to your child then, believe me, that would be great even an old one will take your child over the moon with its widest selection of games and apps. But there is a catch they are quite fragile so you need to protect it with a kid-proof case. One more thing to note that traditional tablets don’t come with parental controls as comprehensive as kids tablet so you might need to keep an eye on what your kid is doing. We assume that now you have an idea of what a proper kid tablet should be like and what features it should have. So let’s start with the list. Basically, our experts at Tablet Under Budget have hand-picked some of the best kids tablet for 2-8 years old who have very less or no knowledge of how computers work. In the latter part of the list, we have also featured few traditional tablets for kids running on Android/iOS which offer much more functionalities. Amazon’s Fire HD 8 Kids Edition is one of the global best sellers in the kid’s tablet segment. This low-costing budget-friendly tablet, comes with a great set of specifications, although it is meant for kids. The tablet offers an 8-inch HD display with a resolution of 1280×800 pixels translating to 189PPI. Under the hood, the tablet is powered by a 1.3GHz quad-core paired with 32GB of internal memory, which can be further expanded up to 256GB via a microSD card. The tablet is also well-powered on the entertainment end and is powered by Dolby Atmos pumped dual-stereo speakers. The tablet also comes with a VGA front-facing camera and a2-megapixels primary camera for capturing images. Apart from these aforementioned features and specifications, the tablet offers a lot of other value for money offerings which include, Amazon FreeTime subscription, a kid-proof case, and access to videos, music, channels, and online content. 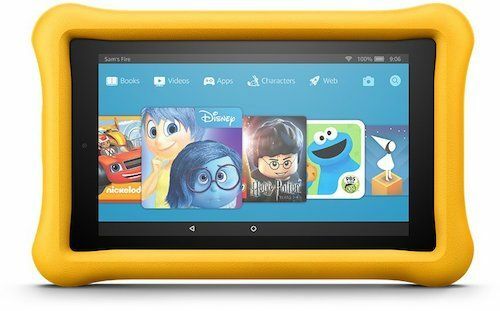 Fire 7 Kids Edition, is a slightly smaller and the previous edition of the above-mentioned Fire HD 8 tablet. Although, being from the previous edition, the Fire 7 still has a powerful set of specifications and ideal features to be standing atop on our list. Speaking about the specifications of the tablet, it sports a 7-inch HD display with a resolution of 1024×600 pixels. This results in the pixel density of 171PPI, which is pretty bright, clear, and vivid for kids to use. For the safety of the device from accidental drops, it comes with a Blue Kid-Proof case, which gives it an overall protection from wear and tear of a kid’s usage. The device comes with 16GB of internal memory, which can be further expanded up to 256GB via a microSD card. The tablet provides a decent battery life of up to 8 hours on a single charge, which is pretty decent. Amazon also packs in very exciting offers along with the tablet, making the deal even sweeter. This includes premium access to Amazon’s FreeTime, applications, online-content, music, videos, and more. All this interactive content can be used for an overall development and growth of the kid, which makes it the best buy in the segment. 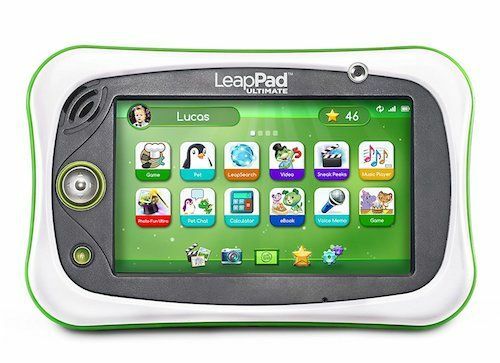 The LeapFrog’s LeapPad Ultimate is our one of the top picks for tablets for kids. The tablet comes with a tough external chassis, making it safe for a kid’s usage, which naturally involves drops. The tablet comes with a 7-inch HD shatter-proof display, which apart from giving vibrant looks and color reproduction provides a bumper for durability of the screen. The tablet is best suited for the kids aged in between 3-9, however, thanks to its powerful innards, it will be able to handle most of the minimal tasks with ease. The package also Includes a lot of other valuables apart from the tablet. This includes $110 worth of learning games, apps, and videos that kids can play right away. It also comes with an access to a library of content including award-winning apps and cartridges featuring kids’ favorite characters. All these help in the overall development of a kid, and also bolsters the foundations for a kid. The tablet comes with 8GB of internal memory and also comes with a Stylus, for the feasibility of learning to write. It also comes with a safe browser, which filters down the explicit content for kids and also comes with a media player to accommodate the multimedia requirements. Dragon Touch Y88X Plus is an upgraded variant of the company’s previous tablets for kids and stands tall as one of the best offering in the segment. The device comes with a 1.3GHZ ARM Quad-core processor paired with 1GB of DDR3 RAM for handling apps. Under the hood, the device comes with 8GB of internal memory. The device sports a 7-inch HD display with a resolution of 1024×600 pixels. This Android-based kids tablet comes with a Li-Polymer battery and can stay juiced up for about 4 hours on a single charge. For imaging, the device comes with a 2-megapixel camera, which does a decent job. Apart from these regular set of specifications, it comes with over 20 Disney storybooks and 4 audiobooks, which helps to build better communication skills in kids. The tablet also comes with Kidoz pre-installed, which helps kids in creating their own personal playground and comes with a child-friendly interface. This makes sure, all the content a kid is exposed to is safe by filtering inappropriate content. Apart from them, it also comes with parental advise mode, filtered browsing, content filtering, and various other interactive games for an overall development of the kid. 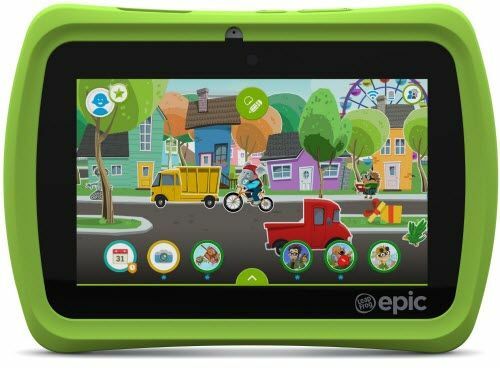 Epic 7 is yet another kids tablet from LeapFrog, which also helps in the overall development of a kid. This easy to use multipurpose tablet comes with a removable bumper, which adds on to the security of the tablet. The device’s display is shatterproof and comes with a 7-inch HD resolution of 1024×600 pixels. This is an Android OS based tablet and runs on Android 4.4 KitKat out-of-the-box. The device is powered by a 1.3GHz Quad-Core processor paired with 1GB of RAM and 16GB of internal memory. The onboard storage can, however, be expanded up to 128GB via a microSD card. The tablet comes with dual cameras, a primary rear camera and a secondary front-facing camera. The device stays juiced up on a Li-Ion battery and can stay juiced up for a decent duration. The tablet comes with a lot of premium and paid content for free for the kids. It comes with the most advanced Android-based learning from LeapFrog, which is uniquely designed to grow with your child and ignite endless learning and creative play. 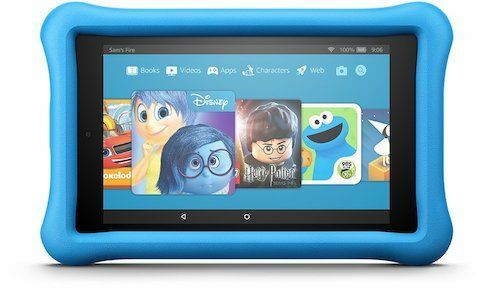 Ideally serving for the kids of age group 3-9 years old, the tablet includes various other special features making it safe, secure, and effective for the kids and their learning. On top of all these, the laptop also comes with over 20 kid-favorite android apps and the world-class kid-safe web browsing experience with the LeapSearch browser. Samsung has always been the choice of many when it comes to consumer electronics all over the globe. Accordingly, The galaxy series of tablets and smartphones in the Samsung’s line-up has wide-array of devices in every segment. The Galaxy Tab E Lite Kids is one of the best tablets of kids. The device comes with a 1.3GHz Quad-Core processor paired with 1GB of DDR3 RAM. The device sports a 7-inch HD display with a resolution of 1024×600 pixels, which provides decent viewing angles and adequate brightness levels for the kids and their usage. The imaging on the device is handled by a 2.3-megapixels primary camera, which can capture decent images and add on to the learning experience of the kids. The device comes with a durable case, to protect the device from the wear and tear and accidental drops. The device comes with 8GB of internal storage which can be further expanded up to 32GB via a microSD card. 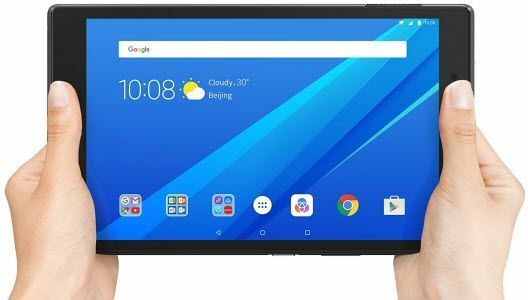 Apart from these regular set of specifications, it also comes with a long-lasting battery, parental control, and lightweight form-factor, which is convenient to use and helps parents control what and how their kids are using the tablet for. For the learning, the tablet comes with STEM and all another common curriculum for studies, which bolsters the overall development of the kid. On a final note, this device Is also the parenting award winner in the year 2016. Although the Apple iPad is not an exclusive tablet for kids, the flexibility and the level of accessibility it offers makes it an ideal choice even for the kid’s usage. The device sports a 9.7-inch RETINA display with wide colors and true tone. It offers great viewing angles and comes with adequate brightness levels with a resolution of 2048×1536 pixels. Under the hood, the device sports a 1.65GHz 64-bit A9 third-generation processor accompanied by an M9 motion coprocessor to handle the graphics and other gaming. The device comes with 32GB of onboard storage which is pretty sufficient for most of the use cases. For capturing images, the device comes with an 8-megapixels iSight camera, which can capture beautiful images with high details. The device supports Touch ID for security and Apple Pay. What makes it worth buying even for kids is its large display, long-lasting battery backup of up to 10 hours on a single charge, and finally, the wide-range of applications to choose and install from the AppStore. Parents won’t be having a tough time to set up the device and give it to their kids for their learning and gaming. All-in-all, the latest Apple iPad can be an ideal choice for kids as well as their parents. Fire HD 8 is yet another value-for-money offering from Amazon which comes with Alexa’s support for ease of usage and convenience. The device sports a vibrant 8-inch HD display and is claimed to be more durable than most of the costly offerings in the segment such as the Apple iPad. The device is fuelled by a 1.3GHz quad-core mobile processor, paired with 1.5GB of RAM. This combination of processor and RAM makes it an able tablet, to the house and run most of the kid’s essentials with ease. The device’s audio is pumped by Dolby Audio and comes with either 16/32GB of onboard storage, which can be further expanded up to 256GB via a microSD card slot. Kids will have a great time using the tablet as it comes with Alexa, for quick access to the information and entertainment you want. Ask questions, play music, check your calendar, get the news, weather, and more – just press the home button and ask. Apart from them, you get access to Amazon’s content, and access to the Echo Spot, Echo Show, or the Alexa App. Amazon Prime members also get unlimited access to over a thousand books and magazines, millions of songs, and thousands of movies and TV episodes – at no additional cost, which can be very beneficial for kids. 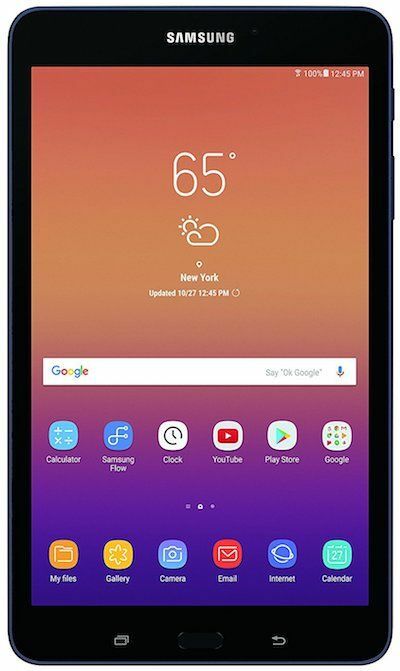 Samsung Galaxy Tab A is an 8-inch all-purpose tablet, which is a global bestseller. The tablet has made its way into our list of best tablets for kids because of the additional ’Kids Mode’ option in the tablet. The tablet sports an 8-inch HD display with a resolution of 1280×800 pixels. Under the hood, the device is powered by a 1.4GHz 8032 Mobile processor paired with a 32GB of onboard storage, which can, however, be expanded up to 256GB via a microSD card. The device also sports an 8-megapixel primary camera, which can capture decent images. 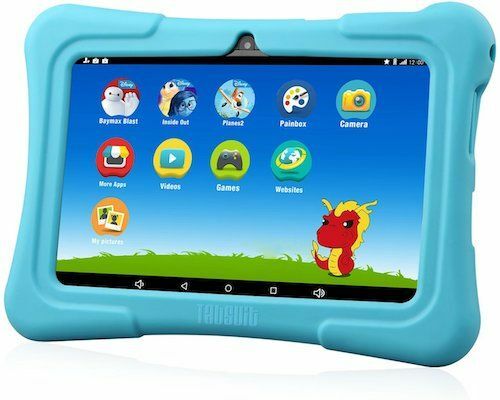 Everyday usage and the utility for kids especially on this tablet is made easy thanks to its kid-friendly apps, and other monitoring modes the device offers. The Kid Mode on the device helps parents to restrict the access to inappropriate content and can aid kids in their overall development. The device also comes with a very good battery backup of up to 14 hours on a single charge, which is yet another very worthy aspect of this tablet. Lenovo Tab 4 is an 8-inch Android tablet, which comes with extraordinary battery life along with powerful specifications. The tablet also comes with a dedicated kids mode, which can be very handy for the kids as well as their parents. The tablet primarily being a multipurpose tablet, comes with an 8-inch HD display with powerful booming Dolby Atmos Audio. The tablet comes with inbuilt dual-stereo speakers for powerful multimedia usage. The tablet is ideal for kids as it comes packed with Lenovo’s Kid pack, which includes a shock-resistant bumper, blue-light screen filter, and fun stickers. Moreover, the tablet comes with a high-performance 64-bit Quad-Core Snapdragon processor, paired with 2GB of RAM and 16GB of internal storage. The internal storage of the device can be further expanded up to 256GB via a microSD card. The tablet also offers a mode to accommodate up to 7 users, to open their own accounts for their own customized space within the tablet. And you can specialize them even further. The tablet is an ultimate kids tablet as it comes integrated with a dedicated secure kid’s account, which provides access to only the white-listed content, websites, and other scheduling and learning based apps and options. The device gives a phenomenal battery life of up to 20 hours on a single charge, which is yet another astonishing feature of this tablet. The kids tablet market isn’t that huge, so picking up the right slate for your child shouldn’t be a big deal. Still, if you’re willing to do some work, then avoid any tablet that is specifically intended for only kids as most of the kids tablets now in the market haven’t been updated for years and are running on the same old software. Buying a traditional tablet with a decent case and installing some parental control software by yourself on it would make more sense. Plus, with the access to thousands of education apps and games on Andoird/iOS app store will take your child over the moon. 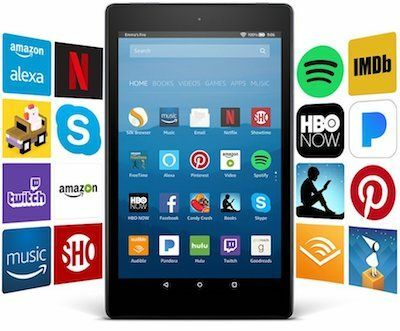 Best of all, the Amazon Fire tablets are the best overall package to delight your child which in fact won’t cost you much and if you’re willing to spend more then get the entry-level iPad Mini or the full-sized 9.7″ one.